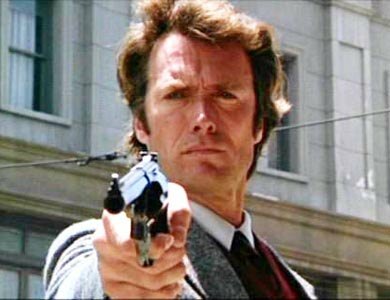 Would this film have had such a cultural impact without Clint Eastwood’s performance as the eponymous San Francisco detective ‘Dirty’ Harry Callahan? Probably not, as Eastwood’s depiction of one of cinema’s most legendary and hardest badasses is the only thing worth watching in this picture. After the infamous early scene, where Harry foils a robbery using only a .44 Magnum and one of the most quoted lines in the history of people saying something someone else said first, the action peters out, leaving a fairly standard, character driven police procedural, as Callahan attempts to solve the case of the Scorpio killer, loosely based on the real life Zodiac killer recently seen in David Fincher’s film of the same name. The film rises a little when it detracts from the central plot – the dealing with an attempted suicide is a particular highlight, but is Eastwood’s performance and a decent script enough to watch this movie? Will I choose life, or film? Can’t tell myself in all this excitement. This entry was posted in 05/10, 1001, 5-Star 500, Choose Life, Empire Top 301, Empire Top 500, Review, The List and tagged Andrew Robinson, Clint Eastwood, Dirty Harry, Don Siegel, John Vernon by jaycluitt. Bookmark the permalink.